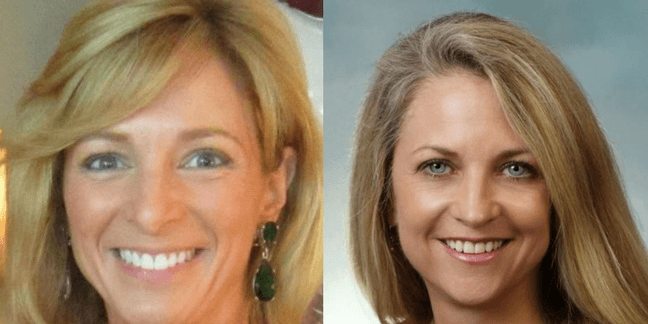 March 26, 2018: After a national executive search for Perioperative leaders, University of Colorado Health (UCHealth) has selected Lisa Kilian as the new Perioperative Service Line Director for the Colorado Springs Region (consisting of Memorial Hospital Central, Memorial Hospital North, and Printers Park Medical Center), and Kathy Gover as the Perioperative Clinical Director at Memorial Hospital North and Printers Park Medical Center. Lisa Kilian has most recently served in interim positions, including Interim Director of Surgical Services at Northridge Hospital Medical Center in Los Angeles, CA (part of Dignity Health) and Interim Manager, Surgical Services at Marin General Hospital in Greenbrae, CA. Previously, Lisa was surgical services manager at Good Samaritan Medical Center in West Palm Beach, FL (part of Tenet Health). 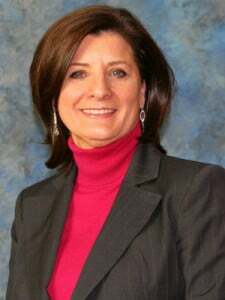 She was also the Practice Administrator and Co-Owner of Canton Dental Associates in Baltimore Maryland while serving as Manager of Surgical Services for Johns Hopkins Bayview Medical Center. Lisa has held multiple surgical services and critical care nursing positions in the Mid-Atlantic area; she began her career as a Registered Nurse in the Operating Room at Peninsula Regional Medical Center in Salisbury, MD. Lisa earned a Master of Science in Nursing from Western Governors University and a Bachelor of Science in Nursing from Salisbury University. She is a member of the Association of Operating Room Nurses and holds CNOR and ACLS certifications. Kathy Gover comes to UCHealth from Porter Adventist Hospital in Englewood, CO, where she held the position of Director of Perioperative Services. Previously, Kathy was at Olathe Medical Center in Olathe, KS, also as the Director of Perioperative Services, Saint Luke’s South Hospital in Overland Park, KS, serving as the Manager of Surgical Services, and Clinical Developer at Presbyterian Plano Center for Diagnostics and Surgery. Her career as a nurse manager and nurse spanned such locations as the Kansas City Orthopaedic Institute, Menorah Medical Center, Overland Park Regional, Baptist Medical Center, and Blackwell Regional Hospital. Kathy earned a Master of Science in Nursing from Mid America Nazarene and a Bachelor of Science in Nursing from Jacksonville University. She holds CNOR and CSSM certifications. For more information about University of Colorado Health, please visit https://www.uchealth.org/. As a Vice President of Summit Talent Group, Mary Louise focuses on candidate development and management of the full-cycle candidate interview process, including visits to the client site. Mary Louise is an expert in conducting in-depth interviews and soliciting information from key stakeholders to obtain specifics about the position, the organization, and backgrounds and personalities of ideal candidates. She is also responsible for leading the debriefing sessions with hiring executives and interview teams to narrow down the candidate slate. Adept at utilizing the Candidate Assessment Form as well as The McQuaig System ™, Mary Louise is able to effectively summarize feedback about each potential candidate to ensure that clients attract and retain the very best person for the job.